Low Financing and Leasing Available. Headquarter Honda is very proud to offer this handsome 2019 Honda Fit LX 6MT in Platinum White Pearl. We are conveniently located just a few minutes West of Downtown Orlando, just off the Florida Turnpike between Winter Garden and Clermont! It’s one of the easiest drive in Central Florida! Remember: "Headquarter Honda Gets You There!" So take the easy drive from almost anywhere in Central Florida to visit us or just call one of our Professional Inventory Specialist for more information and schedule a VIP appointment. Low Financing and Leasing Available. Headquarter Honda is pumped up to offer this superb-looking 2018 Honda Fit LX in Gray. We are conveniently located just a few minutes West of Downtown Orlando, just off the Florida Turnpike between Winter Garden and Clermont! It’s one of the easiest drive in Central Florida! Remember: "Headquarter Honda Gets You There!" So take the easy drive from almost anywhere in Central Florida to visit us or just call one of our Professional Inventory Specialist for more information and schedule a VIP appointment. Low Financing and Leasing Available. 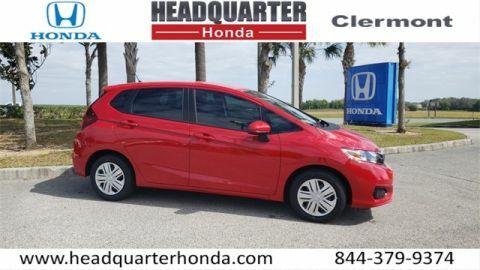 Headquarter Honda is excited to offer this charming 2019 Honda Fit LX in Milano Red. We are conveniently located just a few minutes West of Downtown Orlando, just off the Florida Turnpike between Winter Garden and Clermont! It’s one of the easiest drive in Central Florida! Remember: "Headquarter Honda Gets You There!" So take the easy drive from almost anywhere in Central Florida to visit us or just call one of our Professional Inventory Specialist for more information and schedule a VIP appointment. Low Financing and Leasing Available. Headquarter Honda is delighted to offer this terrific-looking 2019 Honda Fit LX in Silver. We are conveniently located just a few minutes West of Downtown Orlando, just off the Florida Turnpike between Winter Garden and Clermont! It’s one of the easiest drive in Central Florida! Remember: "Headquarter Honda Gets You There!" So take the easy drive from almost anywhere in Central Florida to visit us or just call one of our Professional Inventory Specialist for more information and schedule a VIP appointment. Low Financing and Leasing Available. 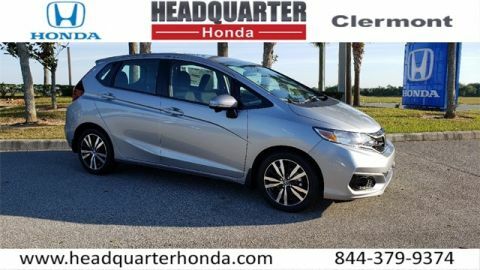 Headquarter Honda is pumped up to offer this charming 2019 Honda Fit LX in Gray. We are conveniently located just a few minutes West of Downtown Orlando, just off the Florida Turnpike between Winter Garden and Clermont! It’s one of the easiest drive in Central Florida! Remember: "Headquarter Honda Gets You There!" So take the easy drive from almost anywhere in Central Florida to visit us or just call one of our Professional Inventory Specialist for more information and schedule a VIP appointment. Low Financing and Leasing Available. Headquarter Honda is delighted to offer this fantastic-looking 2019 Honda Fit LX in Platinum White Pearl. We are conveniently located just a few minutes West of Downtown Orlando, just off the Florida Turnpike between Winter Garden and Clermont! It’s one of the easiest drive in Central Florida! Remember: "Headquarter Honda Gets You There!" So take the easy drive from almost anywhere in Central Florida to visit us or just call one of our Professional Inventory Specialist for more information and schedule a VIP appointment. Low Financing and Leasing Available. Headquarter Honda is pumped up to offer this handsome-looking 2019 Honda Fit LX in Gray. We are conveniently located just a few minutes West of Downtown Orlando, just off the Florida Turnpike between Winter Garden and Clermont! It’s one of the easiest drive in Central Florida! Remember: "Headquarter Honda Gets You There!" So take the easy drive from almost anywhere in Central Florida to visit us or just call one of our Professional Inventory Specialist for more information and schedule a VIP appointment. Low Financing and Leasing Available. Headquarter Honda is very proud to offer this handsome 2019 Honda Fit LX in Red. We are conveniently located just a few minutes West of Downtown Orlando, just off the Florida Turnpike between Winter Garden and Clermont! It’s one of the easiest drive in Central Florida! Remember: "Headquarter Honda Gets You There!" So take the easy drive from almost anywhere in Central Florida to visit us or just call one of our Professional Inventory Specialist for more information and schedule a VIP appointment. Low Financing and Leasing Available. 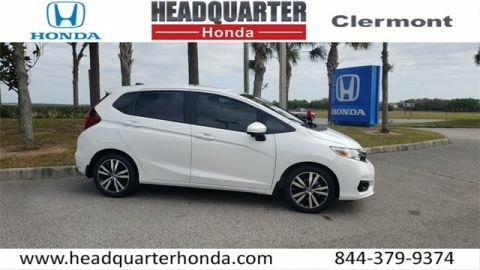 Headquarter Honda is pleased to offer this wonderful-looking 2019 Honda Fit LX in Silver. We are conveniently located just a few minutes West of Downtown Orlando, just off the Florida Turnpike between Winter Garden and Clermont! It’s one of the easiest drive in Central Florida! Remember: "Headquarter Honda Gets You There!" So take the easy drive from almost anywhere in Central Florida to visit us or just call one of our Professional Inventory Specialist for more information and schedule a VIP appointment. Low Financing and Leasing Available. Headquarter Honda is very proud to offer this handsome 2019 Honda Fit LX in Aegean Blue Metallic. We are conveniently located just a few minutes West of Downtown Orlando, just off the Florida Turnpike between Winter Garden and Clermont! It’s one of the easiest drive in Central Florida! Remember: "Headquarter Honda Gets You There!" So take the easy drive from almost anywhere in Central Florida to visit us or just call one of our Professional Inventory Specialist for more information and schedule a VIP appointment. Low Financing and Leasing Available. 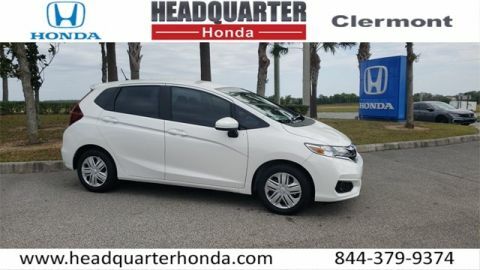 Headquarter Honda is proud to offer this great 2019 Honda Fit LX in White. We are conveniently located just a few minutes West of Downtown Orlando, just off the Florida Turnpike between Winter Garden and Clermont! It’s one of the easiest drive in Central Florida! Remember: "Headquarter Honda Gets You There!" So take the easy drive from almost anywhere in Central Florida to visit us or just call one of our Professional Inventory Specialist for more information and schedule a VIP appointment. Low Financing and Leasing Available. Headquarter Honda is pumped up to offer this wonderful 2019 Honda Fit LX in Blue. We are conveniently located just a few minutes West of Downtown Orlando, just off the Florida Turnpike between Winter Garden and Clermont! It’s one of the easiest drive in Central Florida! Remember: "Headquarter Honda Gets You There!" So take the easy drive from almost anywhere in Central Florida to visit us or just call one of our Professional Inventory Specialist for more information and schedule a VIP appointment. Low Financing and Leasing Available. 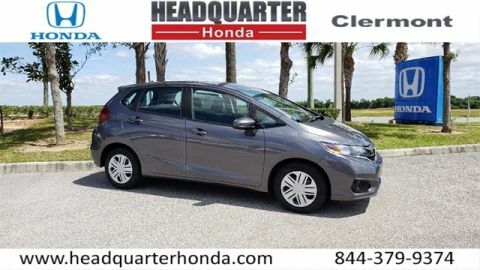 Headquarter Honda is pleased to offer this good-looking 2019 Honda Fit EX in Lunar Silver Metallic. We are conveniently located just a few minutes West of Downtown Orlando, just off the Florida Turnpike between Winter Garden and Clermont! It’s one of the easiest drive in Central Florida! Remember: "Headquarter Honda Gets You There!" So take the easy drive from almost anywhere in Central Florida to visit us or just call one of our Professional Inventory Specialist for more information and schedule a VIP appointment. Low Financing and Leasing Available. 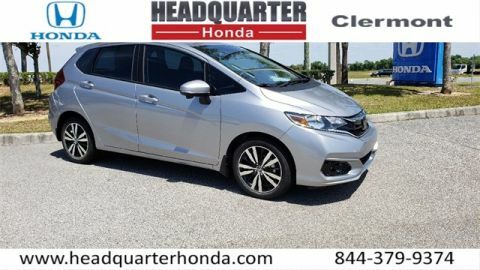 Headquarter Honda is delighted to offer this great 2019 Honda Fit EX in Lunar Silver Metallic. We are conveniently located just a few minutes West of Downtown Orlando, just off the Florida Turnpike between Winter Garden and Clermont! It’s one of the easiest drive in Central Florida! Remember: "Headquarter Honda Gets You There!" So take the easy drive from almost anywhere in Central Florida to visit us or just call one of our Professional Inventory Specialist for more information and schedule a VIP appointment. Low Financing and Leasing Available. Headquarter Honda is excited to offer this good-looking 2019 Honda Fit EX in Platinum White Pearl. We are conveniently located just a few minutes West of Downtown Orlando, just off the Florida Turnpike between Winter Garden and Clermont! It’s one of the easiest drive in Central Florida! Remember: "Headquarter Honda Gets You There!" So take the easy drive from almost anywhere in Central Florida to visit us or just call one of our Professional Inventory Specialist for more information and schedule a VIP appointment. Low Financing and Leasing Available. 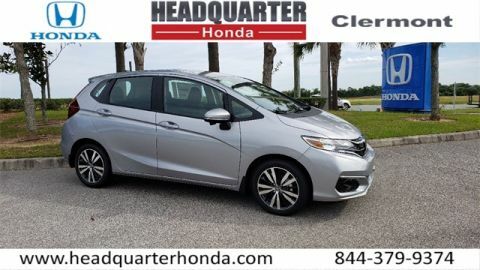 Headquarter Honda is pleased to offer this wonderful-looking 2019 Honda Fit EX in Silver. We are conveniently located just a few minutes West of Downtown Orlando, just off the Florida Turnpike between Winter Garden and Clermont! It’s one of the easiest drive in Central Florida! Remember: "Headquarter Honda Gets You There!" So take the easy drive from almost anywhere in Central Florida to visit us or just call one of our Professional Inventory Specialist for more information and schedule a VIP appointment. Low Financing and Leasing Available. Headquarter Honda is pumped up to offer this handsome 2019 Honda Fit EX in White. We are conveniently located just a few minutes West of Downtown Orlando, just off the Florida Turnpike between Winter Garden and Clermont! It’s one of the easiest drive in Central Florida! Remember: "Headquarter Honda Gets You There!" So take the easy drive from almost anywhere in Central Florida to visit us or just call one of our Professional Inventory Specialist for more information and schedule a VIP appointment. Low Financing and Leasing Available. Headquarter Honda is excited to offer this good-looking 2018 Honda Civic LX in Gray. We are conveniently located just a few minutes West of Downtown Orlando, just off the Florida Turnpike between Winter Garden and Clermont! It’s one of the easiest drive in Central Florida! Remember: "Headquarter Honda Gets You There!" So take the easy drive from almost anywhere in Central Florida to visit us or just call one of our Professional Inventory Specialist for more information and schedule a VIP appointment. Low Financing and Leasing Available. Headquarter Honda is excited to offer this great-looking 2018 Honda Civic LX in Gray. We are conveniently located just a few minutes West of Downtown Orlando, just off the Florida Turnpike between Winter Garden and Clermont! It’s one of the easiest drive in Central Florida! Remember: "Headquarter Honda Gets You There!" So take the easy drive from almost anywhere in Central Florida to visit us or just call one of our Professional Inventory Specialist for more information and schedule a VIP appointment. Low Financing and Leasing Available. Headquarter Honda is excited to offer this charming 2019 Honda Civic LX in Black. We are conveniently located just a few minutes West of Downtown Orlando, just off the Florida Turnpike between Winter Garden and Clermont! It’s one of the easiest drive in Central Florida! Remember: "Headquarter Honda Gets You There!" So take the easy drive from almost anywhere in Central Florida to visit us or just call one of our Professional Inventory Specialist for more information and schedule a VIP appointment.